On the occasion of the 10th birthday of the organization, the Creative Commons HQ is looking ahead into the future, publishing a list of long-term ambitions and setting out targets and priorities for the next three years. 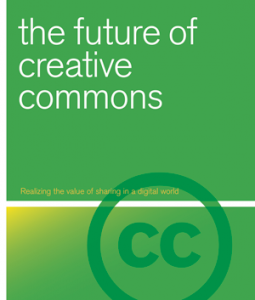 ‘The Future of Creative Commons’ declares the mission, vision and priorities for action in a clear survey. You can read it here. Previous PostPrevious Creative Commons 10 year anniversary Mixtape!